There are some oral surgeries in the Bay Area where you must have the best oral surgeon, and bone grafting is one of those procedures. A bone graft is needed when there is not enough bone in the jaw. It is also used when a patient has experienced trauma to the jaw from a car accident, disease or sports injury. The lack of bone in the jaw can be devastating to a person ’s daily life and self-esteem. You want to make sure that when you need to bone graft your mouth it’s best to leave the task to a highly-qualified professional. If you are searching for one of the best oral surgeons for bone grafting in the San Francisco area, please consider Dr. Alex Rabinovich. His extensive training in facial and jaw reconstruction make Dr. Rabinovich one of the top choices for bone grafting surgery. Bone grafts are used to restore the mouth to a healthy, natural state. The process for grafting bone takes time, patience and attention to detail. Dr. Rabinovich uses the latest 3-D grafting technology to ensure your bone graft surgery is planned down to the smallest detail. 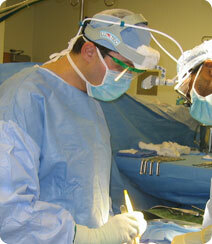 He will walk you through the process and work hard to make your oral surgery as comfortable as possible. Getting you back to a normal, healthy life as quickly as possible is always Dr. Rabinovich’s goal. Bone grafting surgery is often an out-patient procedure and can be performed at our state-of-the-art surgery center, located at 129 Sacramento Street in San Francisco (near the Embarcadero Center). Dr. Rabinovich, recognized as one of the best oral surgeon for bone grafting in San Francisco, performs your surgery in a comfortable and calm environment. The first appointment will begin with an oral examination and x-rays of the mouth. Dr. Rabinovich will evaluate what issues you are experiencing and will discuss a treatment plan customized just for you. Remember, bone grafting may take several surgeries depending on the work to be done. When searching for the best to handle your bone grafting surgery, insurance should not be a barrier. Dr. Rabinovich not only offers top care in bone grafting treatment and surgery, his staff offers top customer service for evaluating insurance plans. All types of dental insurance are accepted such as – Delta Dental, Western Dental, Guardian, Ameritas, Humana, Renaissance Dental, Careington, Aetna, METLIFE, CIGNA Dental and several more. Check with us to see if we accept your in-network dental insurance provider when you call for an appointment. Once dental coverage is confirmed, our supportive staff will help manage the dental insurance paperwork and financing. If you need support with dental financing, our friendly and knowledgeable staff will walk you through every option to find the best payment plan to fit your budget. If you have any questions, please do not hesitate to call Oral Surgery San Francisco today at (415)817-9991, or email us at info@doctorrabinovich.com.